Hey everyone, welcome back. Today I’m sharing five tips to help you get the maximum shine out of your hair, and the new products that have helped me take the best care of my hair! Step One: Cool It. Step away from the blow dryers, straighteners, curlers, etc. I know there are a million reasons why you need them, but they reek absolute havoc on your hair. I try to use mine only twice per week – usually on days of important events or when I’m shooting photos for the blog! 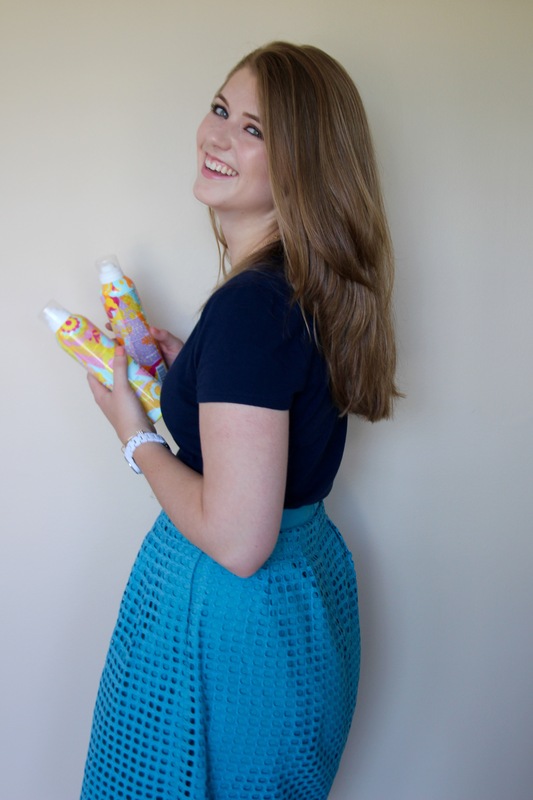 When I do use a heat styling product, I make sure to use a heat protectant spray to conserve the shine and texture! Step Two: Get Dirty. With the invention of dry shampoo, not washing your hair every single day has been easier than ever. Experts recommend only washing your hair three times per week! 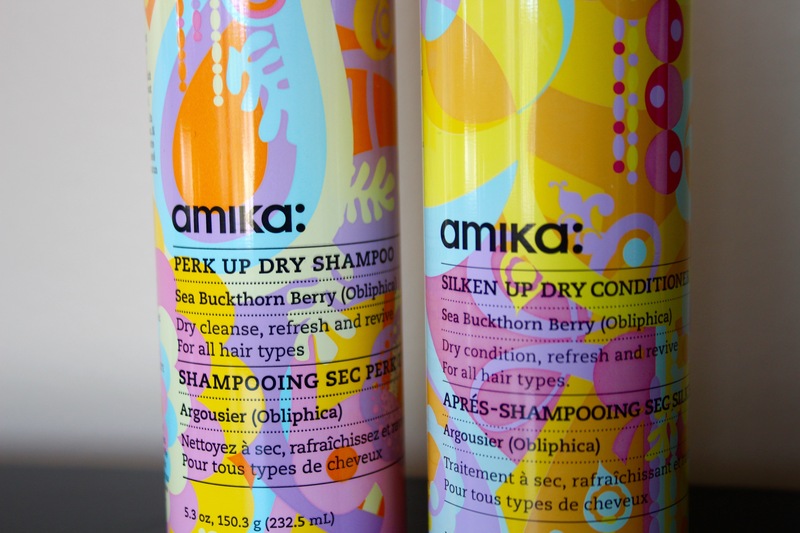 This is where Amika’s Dry Shampoo and Dry Conditioner come into play. They deodorize your hair while conditioning and adding texture and volume between washes, plus they smell amazing. You can buy them together to save $12 here or check out the travel size trio here. Amika products use a natural rice starch to absorb excess oil and dirt, which means they do NOT use aluminum, sodium chloride, talc, parabens, sulfates, and phthalates! This is the reason their dry hairstyling products are my number one go to, over some more chemical heavy products. Step Three: Momma Said Take Your Vitamins. These OLLY vitamins are a total game changer. They are rich in Biotin and Vitamins C & E, so they’re great for promoting hair, skin, and nail health. Plus they’re gummies and they taste delicious! Step Four: The Cold Shoulder. I always end my showers with a quick cold water rinse. This is not only great for your pores, but great for your hair as well – it helps keep it shiny and strong all day! It’s also best to not take too hot of a shower as that can be really damaging to your hair (see step one). Step Five: Take The Pressure Off. These hair ties even out the breakage of conventional hair ties by distributing the pressure out evenly. It’s also great for split ends! To all my fellow ponytail girls out there, I highly recommend you giving these a try – the difference you’ll see is incredible! Thank you so much for stopping by! Do any of you have any great hair tips to share? ?